In February next year, Samsung will launch their new generation of flagship phones. This phones shall be the Galaxy S10, Galaxy S10+ and Galaxy S10 Lite. Needless to say, this is a move to counter Apple’s iPhone XS, iPhone XS Max and iPhone XR. However, there have been leaks lately. This latest leak centers on the fact that Samsung will also sell a special version of the Galaxy S10 5G in some markets. Galaxy S10 5G-NR Exynos 9820 Version will be on the offing. According to media reports, this Galaxy S10 5G version will use the Samsung Exynos 9820 processor just released, not the Qualcomm Snapdragon Xiaolong 8150. Not only that, but the model may even be plugged into the self-developed 5G baseband, the Exynos 5100 released earlier. This baseband is currently available for the Samsung S10 5G release. 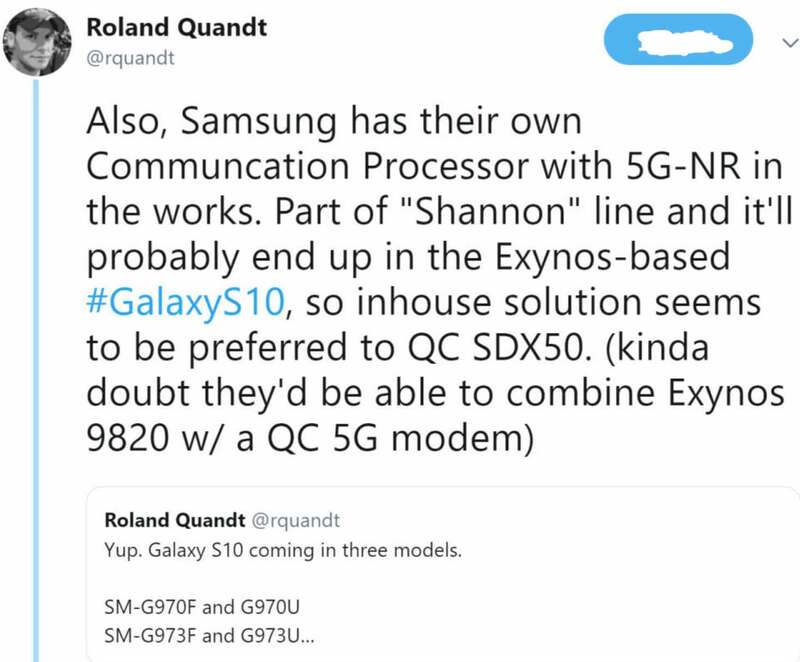 In addition, there is another saying from a famous Twitter handle of @Roland Quandt, he said that Samsung S10 is also likely to take the combination of Exynos 9820 and Qualcomm 5G baseband Snapdragon X50. Unfortunately, this version will not be available globally. I mean you have to consider the issue of the place of sale. The Samsung S10 5G version is said to be available in the US, China and South Korea. Among them, the US version and the Bank of China used to use the Qualcomm Snapdragon chip. The selection of the Exynos chip made people feel a bit ridiculous. Of course, this is as far as the 5G version of the Samsung S10 goes. Worthy of mention is the fact that Samsung is still trying to reduce its reliance on Qualcomm processors. Hopefully, its own processors can be used in key markets such as the US and China. Especially now that the “full Netcom” problem that existed before, with the Exynos chip has been solved. 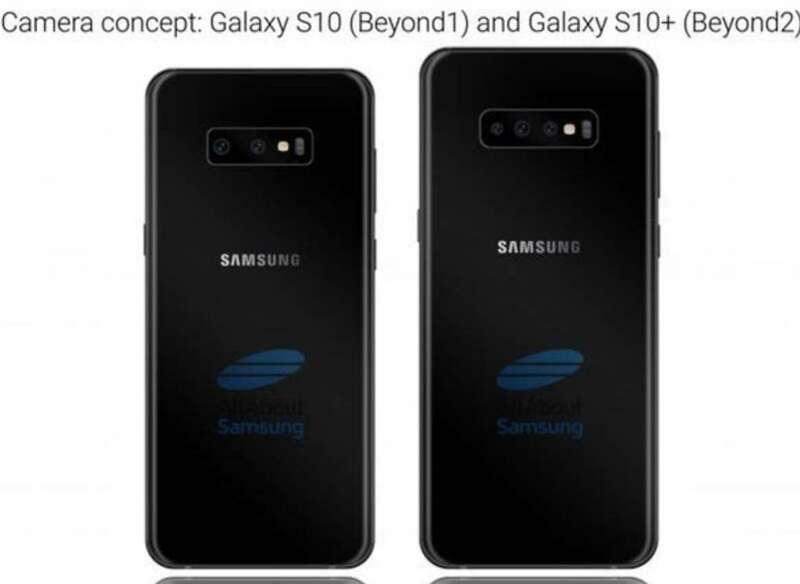 Furthermore, @Roland Quandt revealed that there would be 3 models of the Samsung S10. From the image below they are SM-G970, SM-G973 and SM-G975. According to the consistent naming method of Samsung mobile phone models, SM-G973 is newly added. Initial guess is that it may be the Samsung S10, which is the direct-screen version of the iPhone XR, and the other two correspond to the traditional S10 and S10+. However, the model of the Samsung S10 5G version is still unknown, and there may be another model. Let us look forward to the spectacular situation of Samsung’s four-machine appearance on the same stage next year.